Florida’s famous sunshine found us once again this week here along the Forgotten Coast, and its bright and warming presence was welcomed by all. I saw folks lounging in their lawn chairs out in the driveway or side yard soaking up rays, not needing to head all the way over to the beach just to be happy to bask in that radiant warmth. Our market warmed up as well, closing two sales and adding six new contracts. Sellers posted twelve new listings, and changed prices on five others. 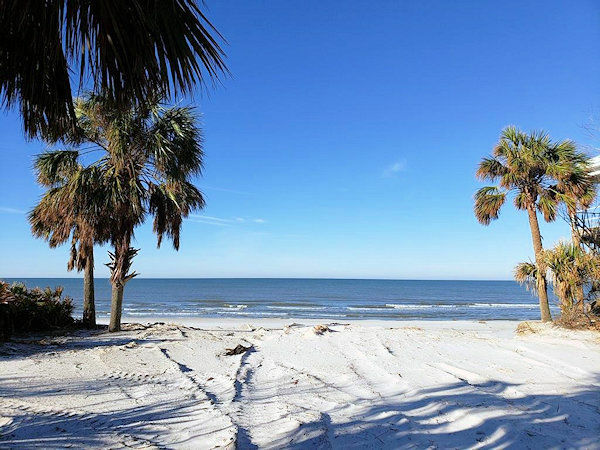 Our inventory swelled by five, closing the week at 240, with 63 homes and 177 lots listed for sale in the Cape San Blas, Indian Pass and C-30 Corridor MLS market. 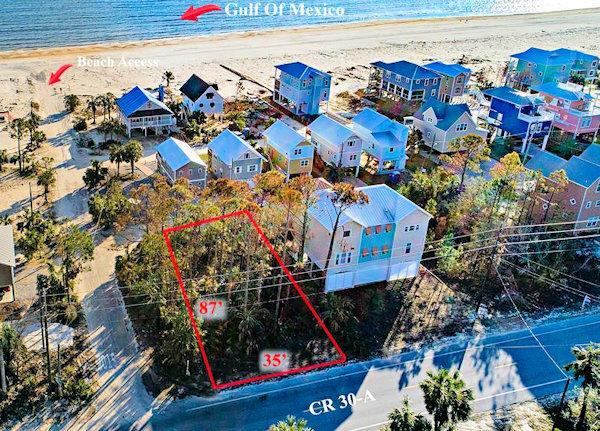 The first of our two sales is this 65′ wide gulf front lot on Windy Lane in Paradise Gulf West a short distance south of Rish Park on the Cape. Located in a VE flood zone, the lot had a vacation rental house on it prior to Michael. The owners listed the lot on Monday, January 14 for $525,000 and accepted a contract on it three days later. Just last Friday they went to the closing table and signed over the title to the new owners for $495,000 cash. 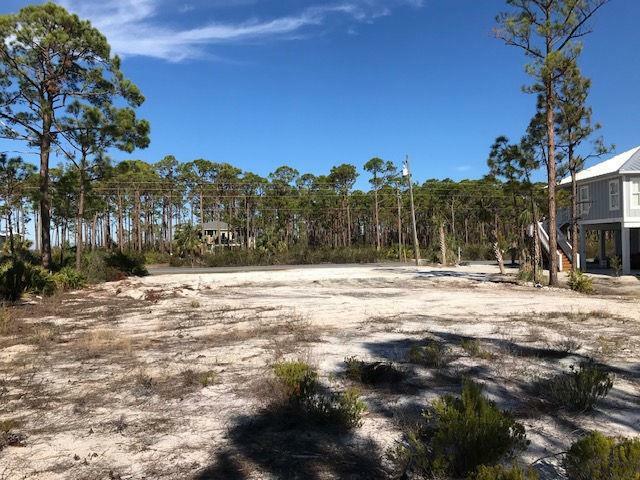 Our second sale is on the south side of the Cape in San Blas Plantation, where near the first of the year, a buyer had his offer accepted on this 78′ by 171′, third-of-an-acre mixed-use lot listed for $79,900. This property is just two lots over from where my office is located, and in close proximity to two rental companies and the ever-popular Scallop Republic, otherwise known as ‘The Cape’s Living Room’. The seller bought the property in 2013 for $35,000, and sold it on Monday for $80,000 cash. Now on to our six new contracts starting off with this 51′ by 548′, 0.54-acre gulf front lot in Monarch Beach listed for $549,000. Platted in 2017, this little subdivision is located on the Cape just a bit south of Rish Park and Hibiscus Beach. It has modest annual HOA fees of only $250. 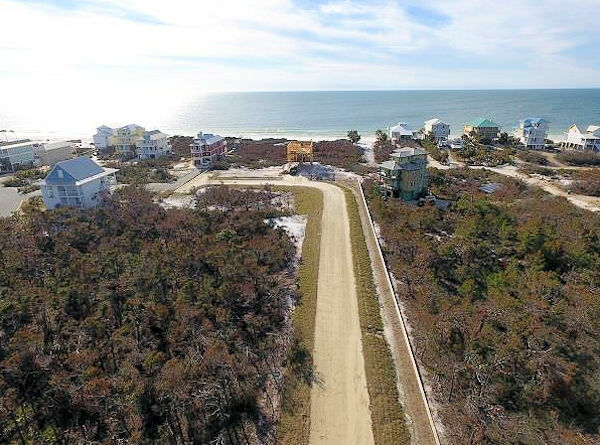 A little south of Monarch Beach and adjacent to the north side of Cape Palms Park is Cape Shoals, until recently home to a number of gulf front townhouses which sadly succumbed to the forces of Hurricane Michael. 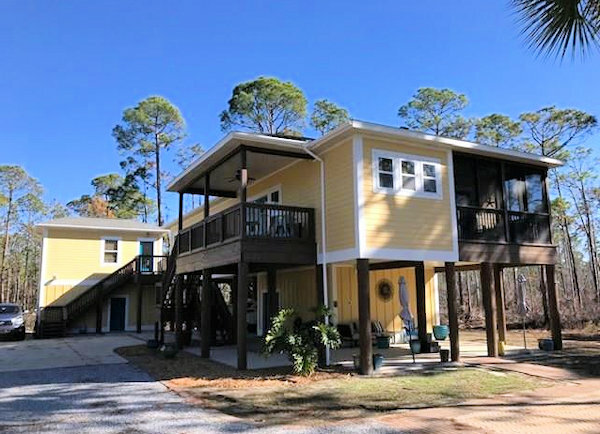 Today Cape Shoals is home to detached single family homes such as this 3-bedroom, 3 1/2-bath, 1,853 square foot 2nd tier home listed for $495,000. It is situated on a 90′ by 120′, quarter-acre lot, and was purchased by the sellers in early 2003 for $342,000. A bit further south on the bay side of the Cape directly across the street form Seagrass is where our third contract is located. 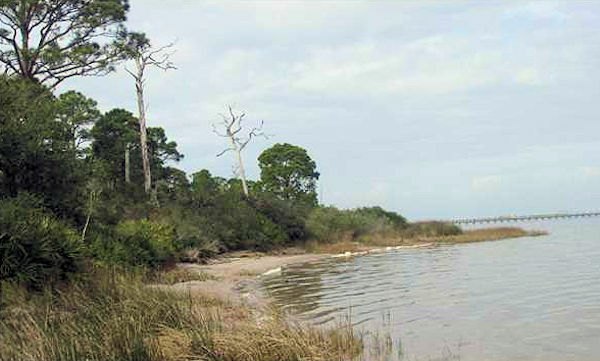 Buyers jumped on this100′ by 800′, 1.85-acre bay front lot the very day it was listed for $279,000. The family who owns this lot and the adjacent multi-acre parcel have owned the property for quite some time so no sales data is available on the county appraiser’s site. 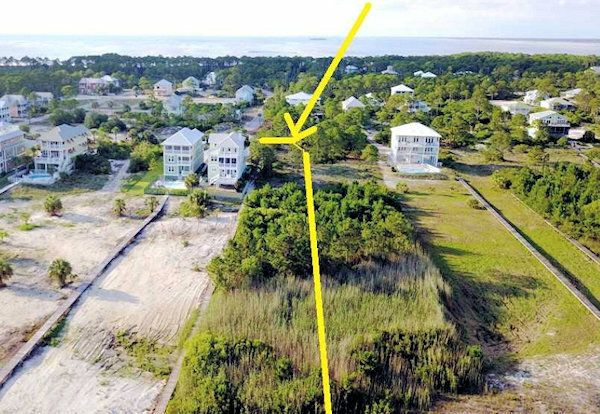 Our fourth new contract takes us down to the south side of the Cape to San Blas Plantation where sellers accepted an offer on their 88′ by 971′, 1.67-acre gulf front lot listed on Tuesday for $320,000; by Thursday buyers had penned an acceptable offer and under contract it went. This property last sold in 1995 for $90,000. 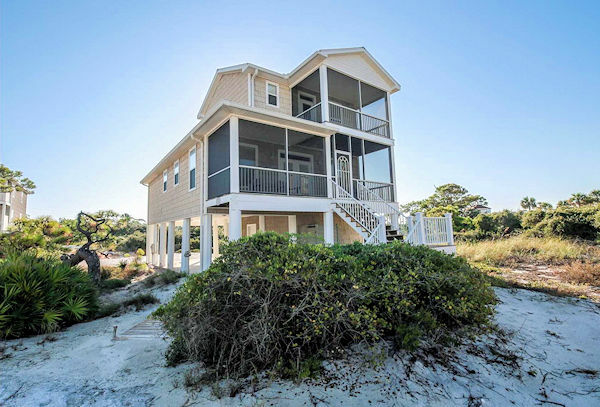 We’ll leave the Cape for the first time today and head north on SR-30 towards Port St. Joe for our fifth new contract, which is on this 4-bedroom, 3-bath, 1,779 square foot home listed as is for $360,000. It sustained some flooding damage on the ground level from storm surge from the bay during Michael, most of which as been remediated at this point. It was listed on January 7 and went under contract Friday, Feb. 8. We’ll circle back and head west on over to Money Bayou for our sixth and final new contract which is on this miniscule 35′ by 80′, 0.064-acre, second tier AE lot listed on Tuesday for $89,000 and under contract merely three days later. This pleasant little old Florida neighborhood has no HOA or HOA fees. And that wraps it up for today. Pleasantly surprised to see such a healthy amount of interest and activity in our market. What I’m seeing in these super short list to contract times is a strong market re-emerging. I’m increasingly confident 2019 is going to be a good year. If you’re toying with the idea of buying or selling in our area, now is a good time for us to talk. You can always reach me by calling or texting 850-227-5197 or emailing sherri@sherridodsworth.com. Either way, I hope to hear from you soon, and thank you so much for taking time out of your busy schedule to stop by today.